More DIY cos I’ve got more ideas and things to make than I can handle. And it’s fun ok?! First up though – have you checked out Rookie yet (Tavi-Style Rookie-Gevinson’s website)? Tavi may no longer be the darling of the fashionistas, after much discussion about her place and opinions as a teen in the fashion media, but she seems to have realised this and changed her focus to a Sassy-tinged-alt-girl world. 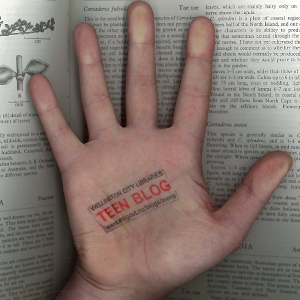 She no longer blogs as a fashion fangirl and instead Rookie covers all things highschool. You SHOULD check it out. And for no other reason than to see how to make your own detachable, glittery collar. (Much like last week’s suggestion). Last week’s video on tying a bun acutally came from a whole youtube channel called Style Haul – and it can keep you entertained for hours. The Leaf Series (the bun one), has a few really neat ‘how-tos’. Here’s my two faves.